We watched intently as Machine Head‘s Robb Flynn, emotional as we have seen him, announced via Facebook live that two – and possibly even three – of the four members of the band had quit. We listened as he assured us, however, that Machine Head would still embark on a tour that is beginning as we speak. We noted his reference to “Farewell Tour Dates” on the video, not to mention a direct link for purchasing tickets for said tour. 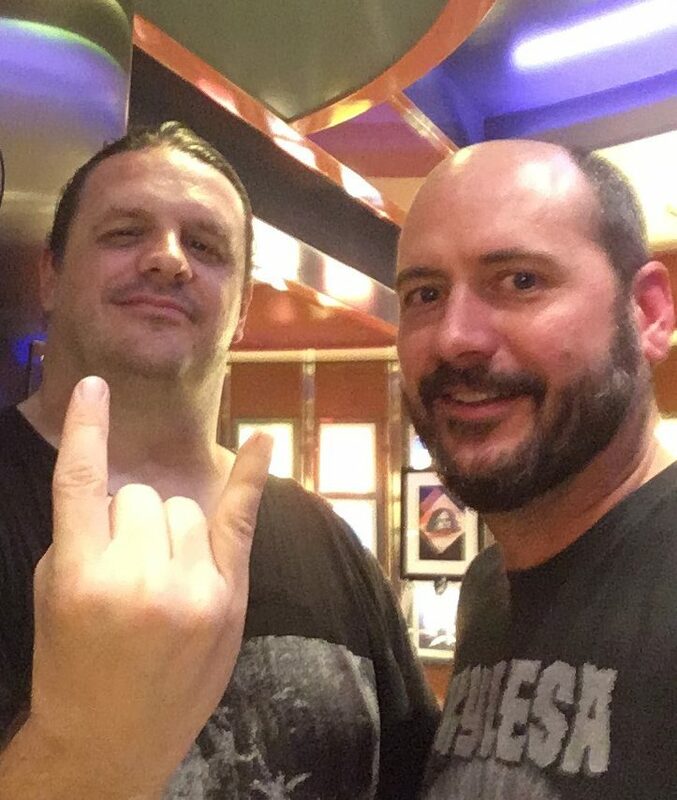 But just as quickly as the frontman announced that Phil Demmel and Dave McClain were definitely leaving the band, and Jared MacEachern was considering it, he clarified the situation stating that it is only this incarnation of Machine Head that is bidding farewell and the media has it wrong. Shame on us. So, for the record, no need to clamor for tickets for this Machine Head tour, unless you are huge fans of Demmel and/or McClain. Flynn, despite the trying times that have hit his camp, will soldier on. Machine Head, as we know it, will simply be a two-man wolf pack, per se. At least for the near future. We are sorry for our mistake. Going forward, we will be sure to vet what “Farewell Tour” actually means. Hell, KISS have been saying it for decades, so how could we have made such a mistake? Head to our YouTube page to watch Robb’s emotional announcement. 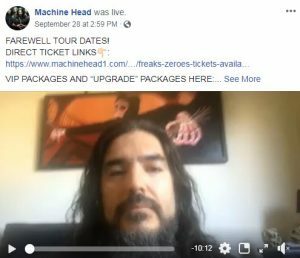 You can view Machine Head‘s Farewell Tour Dates here. Tour starts tomorrow at Ace of Spades in Sacramento, California. Read our original post here, and watch Flynn’s video below.